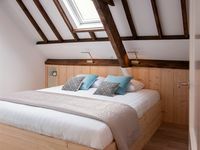 Property 3: Cozy apartment in a quiet location in the middle of Stad Veere on the Veerse sea. Very luxurious apartment in a private apartment. DREAM HOLIDAY! Property 11: Very luxurious apartment in a private apartment. DREAM HOLIDAY! Property 17: Lovely apartment with balcony and Wifi, near at the city centre and the beach! Property 39: Homestay Harlingen is located in one of the most beautiful streets of Harlingen. 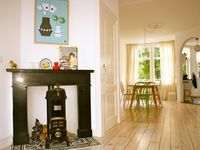 Property 42: Hello Spring!Unique and Large Retro / Industrial Apartment in Vlissingen. We loved the time spent in this apartment! It had everything we needed and we absolutely fell in love with the neighborhood. Close to everything, but very peaceful and quiet at night. Thank you so much for having us!